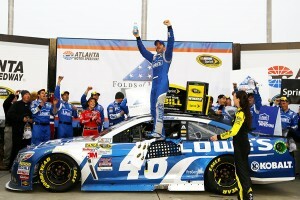 W atching Jimmie Johnson charge through the field to win the QuikTrip Folds of Honor 500 at the Atlanta Motor Speedway brought back a lot of memories for me. Atlanta has always been known as a racetrack where your car is either good or it’s not good, and if it’s good, it stays good without you having to adjust on it very much. But if it’s not good you can adjust and adjust until you go past the point of no return and still not fix it. 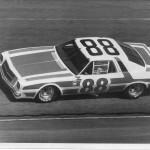 In the Dixie 500 that day, I had them take a turn of wedge out of my car on a pit stop and after the restart, I spun out. Car owner Hoss Ellington asked me, “Did that turn of wedge make you spin out?” And I said, “No it didn’t, but put it back in.” They did, we left it alone the rest of the day and went to Victory Lane. What happened to Joey Logano, Dale Earnhardt Jr. and Kevin Harvick last Sunday are perfect examples of what I’m talking about. At different points throughout the race, all of those drivers looked like they had cars strong enough to win. But in trying to adjust to get back to where they were, they probably adjusted themselves right out of any chance to win. Look at the day Joey had. His car was pretty good early, but they adjusted on it during a pit stop because it was a little loose, they got it too tight, and they never got it right again the rest of the day. On the other hand, Johnson was able to make an incredible charge from the 37th starting spot to the checkers because he and Chad Knaus dialed it in early and left it alone. If you watched any of their pit stops, you might have noticed that they didn’t do a whole lot of adjusting on Jimmie’s car, and I think that was the key to their victory. 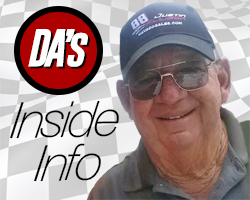 Along those same lines, folks have asked me what I think about the rules change NASCAR has made this season that allows drivers to adjust the track bar themselves inside the car. My guess is the crew chiefs would just as soon the drivers leave that alone as well. I really don’t see anything wrong with it, but in my experience, if you give a driver an opportunity he’s going to adjust himself out more than in. If 10 drivers adjust on a track bar, maybe one of them will get it right and nine of them won’t. 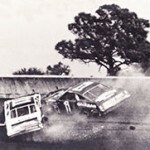 I remember when they let the drivers adjust the brake bias themselves, pretty quickly everybody was out of brakes. A driver is continually looking for a reason why their car is bad as it is and a way to fix it, but to be perfectly honest with you, it is hard to fix one from inside it. Just like at Atlanta, if the driver adjusts the track bar and lowers the roll center to where they make the car tight then they may not be able to get it back because if they take the track bar back up and raise the roll center, then the tires are no good and they won’t get a bite anyway. Then when they make a pit stop, the crew chief is going to make another adjustment, and they are just going to go back and forth. Personally, I don’t think the driver can keep up with all that inside the car. Once in awhile they are going to hit it, and it’s going to work good, but the majority of the time my feeling is that they are really just going to get further behind. It’s like hitting a golf ball. After the golf ball is gone you say, “Bite. Bite. Whoa. Whoa. Don’t go any further!” but it’s already gone and there’s nothing you can do to get it back. Folks have also asked me if I think Atlanta needs to be resurfaced, and I say you can’t resurface a track every two or three years, but the thing I do question a little is the speeds they are able to reach there. 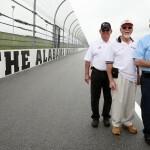 When they reconfigured the track in 1997, they made it even faster, and it was already too fast. We had tire problems on the old configuration and they are just as fast now. And if the speeds keep increasing and Goodyear has to build the tires any harder, those guys won’t be able to drive their cars at all. You’ve got a 1.5-mile racetrack and you average 195 mph, 196 mph. Give me a break. I love speed, but you’ve also got to be able to race, and they are right on the borderline of not being able to race. And it seems it is getting that way at a lot of the big tracks. This weekend at Las Vegas will be the same thing. They’ll be going so fast it will be hard for them to race, and we need to keep an eye on that. 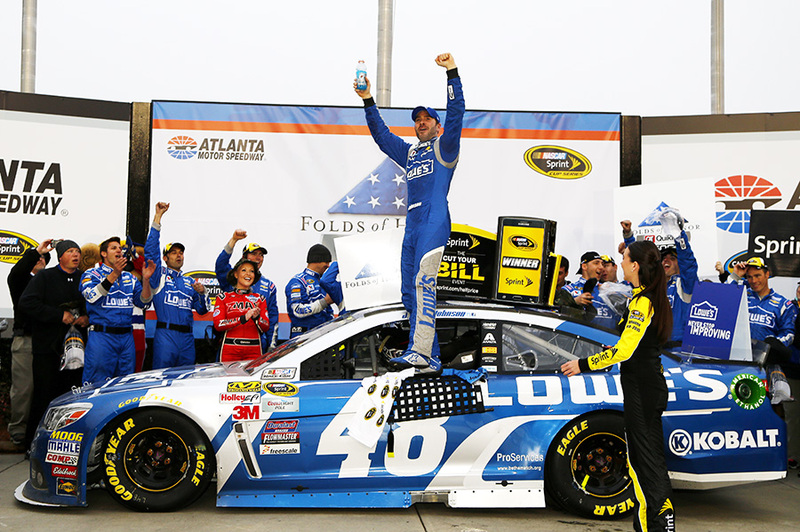 Still, there’s no doubt the 2015 NASCAR season has opened with two great races. I know there was a lot of griping and complaining about Jimmie, Jeff Gordon and those other teams not getting through the tech area on Friday. I don’t know what happened there and, honestly, it really doesn’t bother me. All I know is that when a guy can start at the back of the pack and come all the way through to win like Jimmie did last Sunday, it means you’ve had a good race, and we need to take our hats off to him for it. 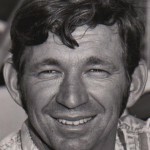 Donnie Allison is one of the three founders of the legendary "Alabama Gang" and a member of the International Motor Sports Hall of Fame and the Motor Sports Hall of Fame of America. He and his wife, Pat, live in Salisbury, N.C., surrounded in close proximity by their four children, ? grandchildren and their dog, Baby.